Every year in the United Kingdom, tens of thousands of people suffer from deep vein thrombosis (DVT). 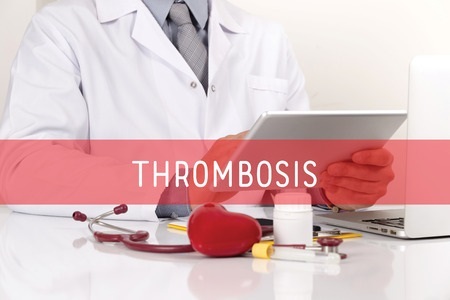 Although some instances of thrombosis have no clear cause, many people could reduce their personal thrombosis risk by taking the necessary precautions. Understanding the major causes of thrombosis can help people to take steps to reduce the risks that they face. Here is some information about the leading causes of thrombosis in the United Kingdom. Some lifestyle choices can increase the risks of developing a deep vein thrombosis. Being overweight or obese is a real threat, and therefore people with weight issues are advised to try to lose weight safely. Some doctors are forced to refuse surgery to overweight people, because their weight makes the post-surgical clot risk too high. Smoking also increases the risk of developing clots because it reduces oxygen levels in the blood stream. Lastly, people who regularly get dehydrated are also at risk. Dehydration thickens the blood slightly and causes it to flow more slowly, which both make the blood more susceptible to unnecessary clotting. LINK – Lifestyle-related thrombosis risks. A lack of movement can cause the flow of blood around the body to change slightly. Periods of inactivity or very low activity can cause the blood to collect in the lower limbs. Once the person starts to move again, the blood flow should increase and be spread more evenly. In most cases, this should not cause a problem, but a person may be put at risk if they are forced to stay still for longer than normal. When the blood is flowing more slowly than usual, it is much easier for a blood clot to form in a blood vessel. Deep vein thrombosis is often associated with air travel, because passengers are forced to sit in cramped conditions for longer periods of time. This helps to contribute to the increased likelihood that frequent fliers will suffer from thrombosis. Many airlines now offer fliers advice about simple exercises that help to keep the blood flowing properly in the lower limbs. 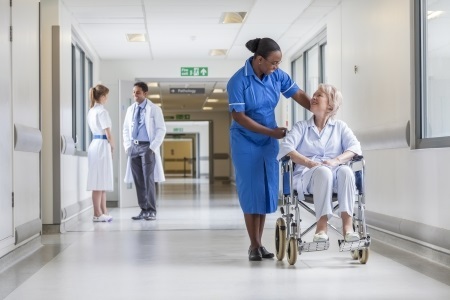 People who cannot move following an operation or who are not able to move their limbs due for medical reasons may need to take anticoagulant medication to reduce their personal clot risk. LINK – Thrombosis when flying. The body normally forms blood clots to help to protect and treat an injured area. However, if over-clotting occurs, it can do more harm than good. Other damage to the blood vessels can also increase the likelihood that a clot may form. Damage to the walls of a blood vessel, either caused by physical trauma or due to infections, can cause narrowing in the blood vessels. This slows the blood flow and can increase the clotting risk. Some conditions, such as vasculitis and varicose veins cause irritation and inflammation of the blood vessels which can result in increased clotting. Medical treatments like chemotherapy also cause damage to the blood vessels and make them susceptible to thrombosis. If surgery or medical treatment is likely to increase the clot risk, medical staff should offer additional advice to patients about how to reduce their personal risk. There are many other medical conditions which are not included in the list above. Some genetic conditions, such as thrombophilia increase the blood’s tendency to clot. Anyone who has a family history of DVT should be particularly vigilant about their personal risks and should be aware of the symptoms of thrombosis. Hughes Syndrome (APS) is a rare condition of the immune system which can strike people of any age. Hughes Syndrome can be particularly dangerous for people who are pregnant. LINK – NHS Choices on Hughes Syndrome. During pregnancy, the body naturally increases its own clotting ability. This is to help women reduce blood loss and to heal more quickly after childbirth. However, this also means that pregnant women are 10 times more likely to develop thrombosis than equivalent non-pregnant women. This naturally change will continue throughout the pregnancy and for around 6 weeks after the birth. Women who are taking oestrogen-based medication, such as the combined contraceptive pill or hormone replacement therapy (HRT) should also be aware that oestrogen can cause the blood to clot slightly more easily than normal. Some doctors may refuse to prescribe the combined pill to women who already have a significant clot risk. However, the progestogen-only pill does not have similar clot risks associated with it, so this contraceptive can be prescribed to women who cannot take the combined pill due to thrombosis risk.